Video games hold a lot of nostalgia for all of us and I don’t think there has ever been a better time for getting a good old hit of nostalgia in gaming than right now. Re-masters, re-releases, re-makes they’re coming in abundance at the moment, but for me, I’m more than happy with the games I’ve loved staying in the past. I’m someone who tends to move on from a game once I’m done with it, I will very rarely play through a game again. In fact I think the only game I’ve played through more than once is Half Life 2 and I think the main reason I still enjoy it is because I think it was technically way ahead of most games at that time. It was also a fantastic game full of everything you’d want from an FPS. Even with that mindset, that hasn’t stopped me from buying the odd classic now and again. I downloaded Red Alert from origins last year, but within about 10 minutes I stopped playing, it ran terribly, looked nothing like I remembered and displayed in about 800×600. It was not enjoyable and it was actually tarnishing my fond memories of the game. Star Wars: Knights of the old Republic is one of my all-time favourite games, I adored playing through it on the original Xbox, when I saw it on sale a while back on steam I thought to myself “I love that game, I’ll get that and play it again.” I probably played for about an hour and I was done. Again, it was just ruining my memories of the game. 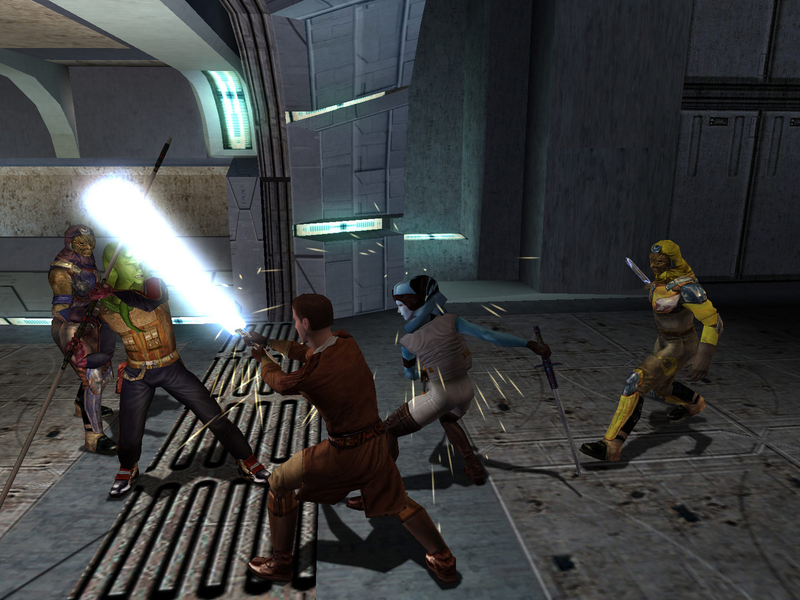 In my head, Kotor was flawless, but it hasn’t aged well – not that I’d expect it to. I’m not just talking about visuals for these games though; controls have improved massively probably without you even knowing about it. I always find that things feel clunky when going back to older games. Hell, even Mass Effect, that didn’t really release that long ago doesn’t feel the same to me. Personally Mass Effect and Kotor are on the same level as my favourite games. But the controls for it when I started playing it again a few months back feel bad, nothing feels very responsive and it quickly became frustrating. Sometimes it seems the problem with nostalgia is that we only really remember the good times, we tend to forget about the bad, the unbalanced and the broken. The recent Call of Duty Modern Warfare remaster is one such example of how a games flaws tend to be forgotten. COD4 was an amazing game when it came out, it’s probably one of the games I spent the most multiplayer time playing and it was coupled with a fantastic single player campaign too. But it doesn’t take much reading of the reviews to see that it just doesn’t stand the test of time and that a lot of the games problems have just been left in the game. To me I often can’t help but feel like some remasters of games are just cash cows to generate a little more money. Don’t get me wrong, there are remakes that are well done, and they don’t all come across as quick way to make a buck, but that doesn’t mean I want to play them. I remember when I fired up the Master Chief Collection and started playing Halo Combat Evolved – a good example of a remake done well. My god, did it really look that empty the first time around? Switching from the remastered visuals to the original visuals was crazy, I couldn’t believe how bare everything was and devoid of life the world felt at times. 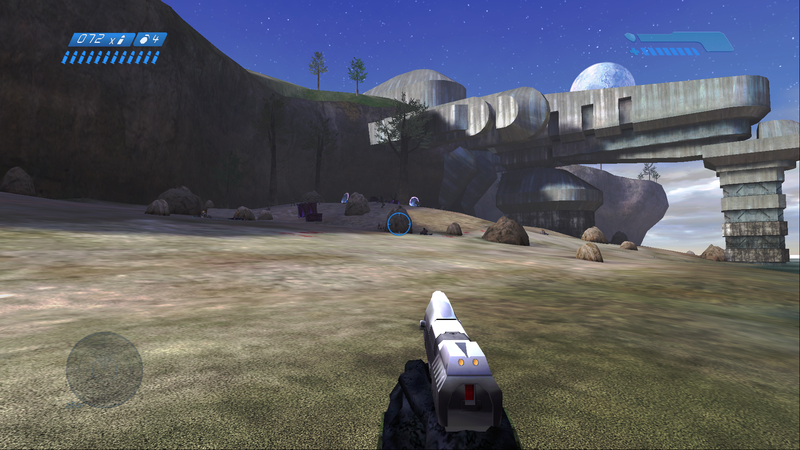 Gameplay wise, Halo actually still stands up very well, but damn, I cannot get over how different it looked and quite frankly I’d like to wipe that moment of realisation from my memory. I recently saw the video from digital foundry for Crackdown comparing the original version to the new 4k Xbox One X version. It’s had a nice visual overhaul and looks very nice in 4k, but we’re just reminded that the framerate would tank when things got busy on screen and it still does the same when being played on Xbox One X, even the so called ‘performance mode’ drops lower than 10 fps at one point. Please don’t ruin the memory of Crackdown for me, it was a great game that was a hell of a lot of fun at the time and I’m happy with it staying that way. Serious question, who actually wants 4k with an unstable 30fps? Almost every month we have amazing new games coming out from big AAA developers and the little indie studios creating hidden gems and I’d much rather spend my time exploring new genres, new worlds and new stories than revisiting the same settings where I know how the story plays out. Sure, in some games, you might be able to influence some decisions along the way and that might make you want to try new paths, but you ultimately end up at the same destination – I know how this story ends, and playing that again doesn’t excite me. For me, my great gaming memories will firmly remain as a warm fuzzy feeling of nostalgia.